Jesus Fernandez-Villaverde, Professor of Economics, discusses the potential—and pitfalls—of cryptocurrencies like Bitcoin. Imagine never having to deal with inconvenient bank branch hours again, or having to worry about costly transaction fees. Or maybe you don’t like the government being able to track your purchases. Cryptocurrencies like Bitcoin tout solutions—a trading model for the people, by the people. But what happens when users wise up and take advantage of a system often accessible only to those with the technological wherewithal and computational power to succeed? Do these platforms need to fail before they can be regulated and reapplied to everyday purposes? Is government oversight really something we want to give up? 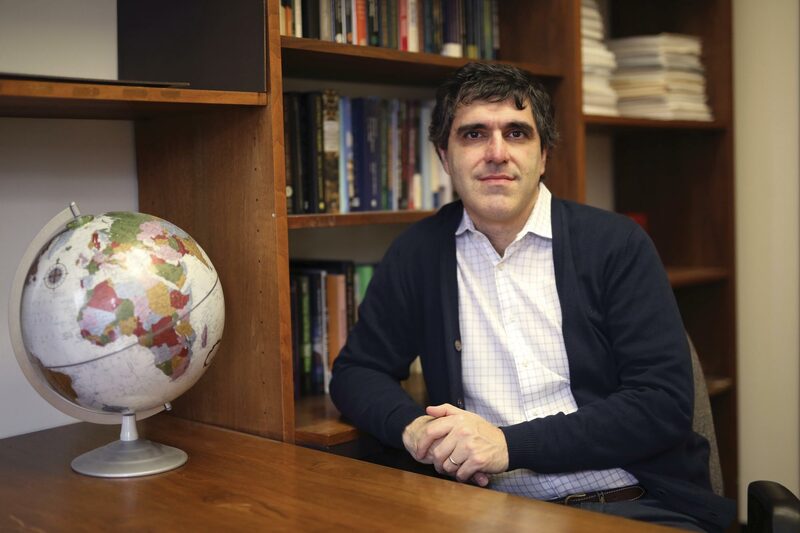 We sat down with Jesus Fernandez-Villaverde, Professor of Economics, for an introduction to the budding cryptocurrency market. Perhaps the best way to think about cryptocurrency is from an historical perspective. So many people don't realize this, but there have been plenty of private monies throughout the course of history. This is essentially just the trading of some kind of token for goods or services. Let’s say I walk into a Wawa and buy some tea. I give the cashier a token, which they then use to get some medical service, and then the son of the doctor uses that token, which eventually makes its way back to me. In a system like this, what you require is that these tokens are easy to recognize, that they are difficult to fake, and that somehow someone controls how many of those are issued. From the beginning of the U.S. most tokens were issued by private banks. In 1850 you would have seen a bill issued by the Mechanics National Bank. For a number of reasons, governments took control of most of those private monies during the 19th century. And then suddenly with the arrival of the internet people revived the idea of having these private monies. 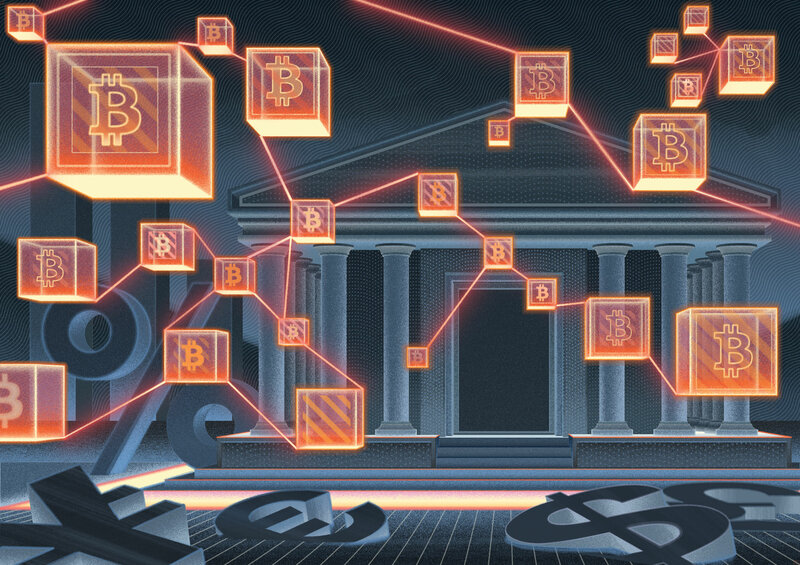 First, because suddenly you don't need a network of bank branches to issue and handle that money because everything can be done online, and second, because topographic techniques mean that the problem of verifying that this is in fact a token and not something else is radically simplified. One of the problems of currency in the U.S. in the 19th century was that if you were a visitor from a different state, you might not be familiar with the currency. In fact, there were books for merchants that would tell you, say, how to identify this funny-looking bill from a bank in Massachusetts. But cryptocurrency solves this problem by making currency universal. So the idea of tokens hasn’t changed, no matter what form they take. Soccer cards worked as currency when I was in second grade. At the very fundamental level there is nothing very different between the soccer cards that I used to pay for an ice cream from one of my friends and a piece of cryptocurrency. How do services like Bitcoin operate given there’s no outside governance? It’s community-driven. In order to earn bitcoins, for instance, users are required to solve complicated math problems that require very powerful computers and a ton of electricity. The first individual, or company, who solves this problem broadcasts that answer, and if 51 percent of people in the network agree with it, then a few bitcoins are awarded. The lack of oversight and anonymity afforded by the internet makes cryptocurrency extremely attractive for three groups of people: those involved in shady transactions; those in countries where the currency issued by the governments is not reliable; and finally, those who consider themselves libertarians, which includes conspiracy theorists concerned about the government taking over their freedoms. Now, if I'm in the U.S., or if I'm in Europe, I'd rather trust the Federal Reserve System or the European Central Bank, but if I'm in a country with an unstable currency, I may rather take my chances with Bitcoin. Many cryptocurrencies like Bitcoin use technology called block chaining for transactions. Can you explain how this works? Block chain is a new technology that promises to improve the ways in which we achieve transactions. It's an example of a whole new generation of payment technologies that can be much, much faster and cheaper. Forget about the fancy technological talk—block chain is really just a digital ledger. The challenge of a system run by ledger is you need to trust the person who keeps it, and for that reason, block chain uses a centralized ledger in which users use codes to trade tokens and services. The concept being that if a sufficient number of people agree on a version of the ledger, you can trust each other. That can work fine in some situations, but it is not obvious that the problems that the block chain has are any less risky than the promise of trusting a central authority. The first problem that block chain has is that it tends to grow over time. By very definition it forces you to keep every piece of information from the very first ledger. Given this, the size of these ledgers will become so big that it will be unrealistic to maintain them. The second problem of block chains is they can be vulnerable to attack. You recall the Bond movie Goldfinger with Sean Connery? The villain wants to break into Fort Knox to detonate a dirty bomb that will contaminate it, thereby increasing the value of his own gold. Now let's suppose we're following a scenario where my real goal is not to profit from Bitcoin, but to destroy it. You get powerful servers that will sign up to bitcoin to create bots that help you pass a fake ledger. It will probably cost a few billion dollars, but this is way cheaper than building a nuclear bomb. So if Bitcoin or any other of these currencies become the prevalent currency in a western country, we would be vulnerable to attack by a foreign power. Some view cryptocurrency as the new gold rush. Is this realistic? Mining is done by big companies with very sophisticated computers, with very specialized software engineers, and in places where electricity is cheap. So, for the average person, you are never going to be able to mine. What is happening right now with cryptocurrencies is we have these rising prices and these drops. But, cryptocurrency is not so different from a new technology on the stock market. You buy a share in that company and that share multiplies. So, imagine that have you been able to forecast that Bitcoin was going to have this enormous rally over the last year, then yes, you could make a fantastic return on the sale. But that applies to any financial asset that has bubbles and bursts. What technologies involved in cryptocurrency trading might prove useful elsewhere? There are things we can learn from cryptocurrency. For instance, you can use block chain to set up conditional payments, which lowers the risks of transactions falling through. The payment system we have right now in the U.S. is very antiquated. People still use checks a lot, and if you want to make a transfer between two banks it takes a long time and is very costly. So, we really want to move to a system of payments and settlements that is much more efficient and that relies much less on cash, and cryptocurrencies are exploring that. But the last 20 years have taught us that things come in very unexpected ways. 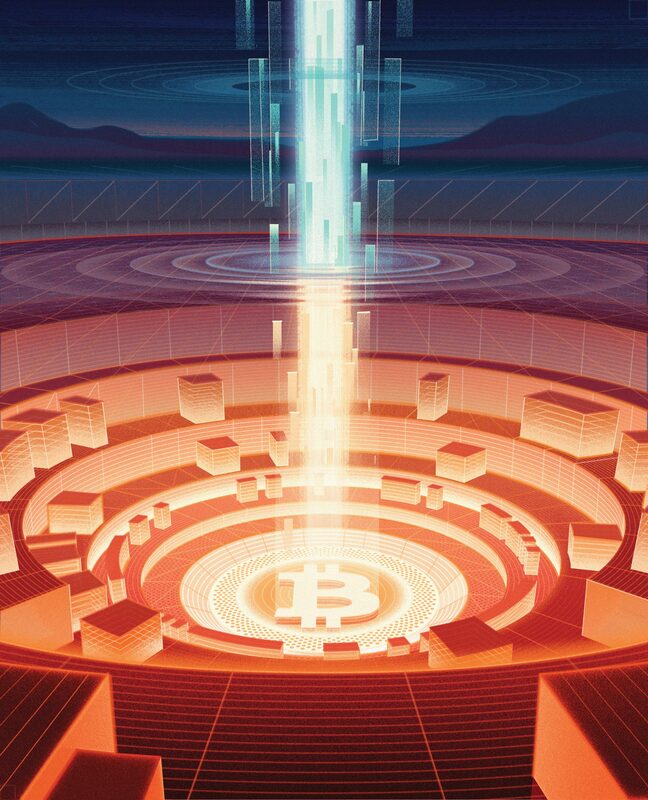 I think that a lot of the best ideas of Bitcoin and other cryptocurrencies, in terms of how to achieve payments faster and more efficiently, might end up being incorporated into mainstream payment systems, or places like the NASDAQ. My benchmark scenario is that in 10 years the average person in the U.S. will complete 95 percent of their transactions through cards, or electronic payments. Governments should never surrender the right to regulate because governments are just the natural outcome of the democratic process. I prefer a light regulatory framework and I think that we need to wait and see how things play out. No one really knew at that moment how transformative the iPhone technology was going to be because no one really thought about all the crazy things people would use iPhones for. So it may well be the case that tomorrow there is a kid at Oklahoma State University working in his dorm who just came up with a killer app for which cryptocurrency will be just fantastic for everything. The one thing we definitely need to do is educate a new crop of civil servants and regulators who are sufficiently savvy in these technologies, so that we'll have a pool of potential candidates to recruit that understand these issues. In the next few years, universities should make an effort to come up with programs where new generations of lawyers, accountants, and experts in finance are confident with all these issues and come prepared to work on them. A new book by Jeremy Greenwood, Professor of Economics, takes a macroeconomics view of changes in family life. Brodsky, C’99, is US Country Manager at finder.com and is a graduate of the College with a B.A. in Economics, and minors in Mathematics and History. Fernando Rojo, C’18, aims to empower artisans across Latin America through his company, PATOS.